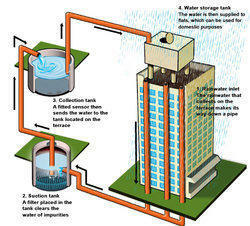 Pioneers in the industry, we offer roof top rain water harvesting service and rain water harvesting service from India. The term is being frequently used these days; though, the concept of water conservation is not new for India. Water resource management has evolved and developed centuries ago. 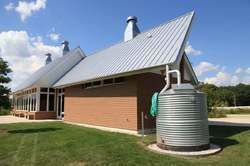 The process refers to the technique of increasing the natural filtration of rainwater into the underground formation by some artificial methods. A conscious gathering and storage of rainwater to accommodate demands of water, for drinking, household purpose and irrigation is truly imperative.